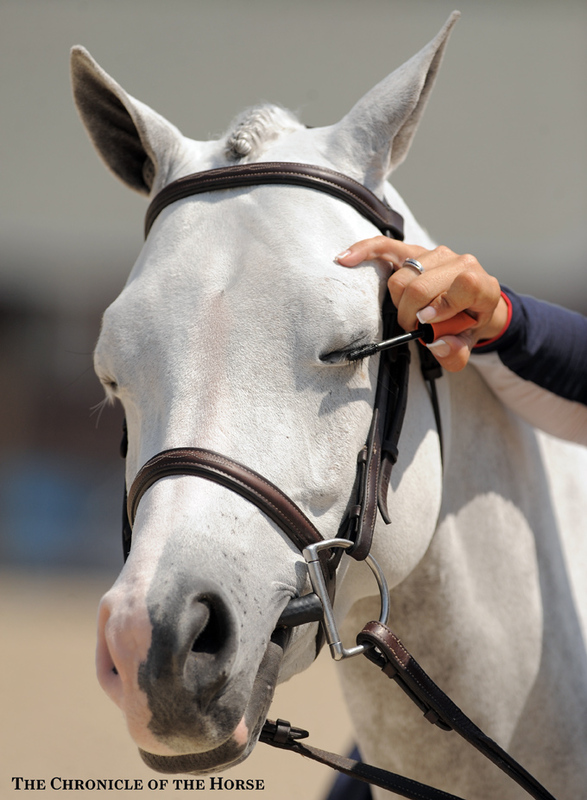 It’s hard to imaging putting mascara on a pony, even if it is for the Model Class at Devon. But it looks like this pony is an old hand at the application of cosmetics. It turns out that dolling your horse up for show is pretty common on the Arabian circuit, where mascara and eye shadow are used to make the horses’ eyes look larger . . . and their muzzles look smaller. Just don’t tell Zelda. She’ll probably want me to gussy her up!